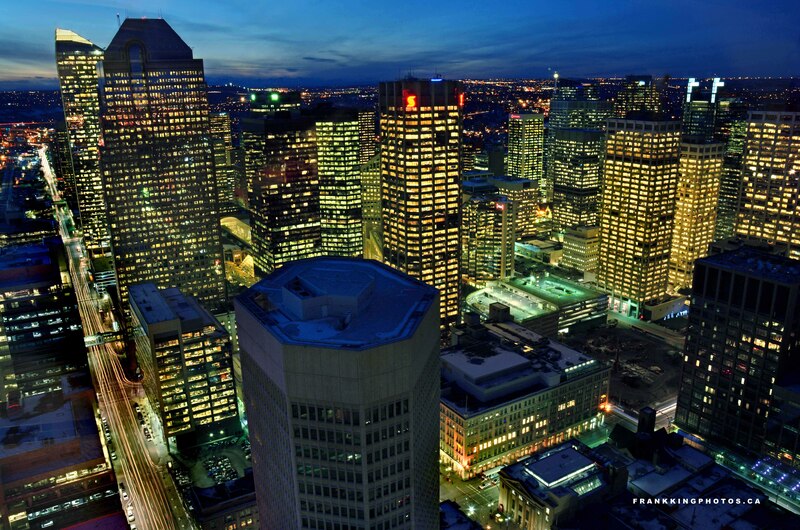 I went up to the top of the Calgary Tower to photograph this western Canadian city at dusk. It was a lot harder than I imagined, simply because wherever I went, all the lights inside the viewing level of the tower reflected in the window I was trying to photograph through. So I ended up standing in weird positions, arms held askew, trying to block the light while pushing the shutter. Nikon D7100, tripod, polarizing filter.